"My experience with Youth Corps can be summed up in one word… Unforgettable." To provide a one-year course of practical, hands-on, on-site experiential leadership studies to transform the lives of 9th and 10th grade students so that they can in turn influence those around them in their families, schools, communities and beyond. Youth Corps provides effective leadership training and skills to the youth of the Midlands.  YC students are encouraged to live a life of influence, to be productive citizens, lifelong learners and take responsibily for their lives, family and community.